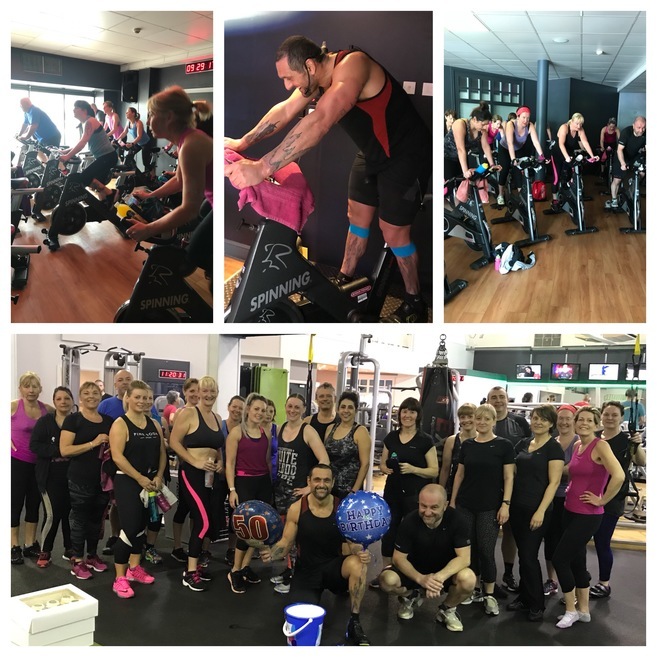 You are here: Go to home Breadcrumb Separator Leisure Centres Breadcrumb Separator Cannock Chase Breadcrumb Separator Better Gym Cannock Breadcrumb Separator News Breadcrumb Separator Well done to all members who took part in our CRUK Spinathon!!! After all their hard work they were rewarded with a 50th birthday Cupcake courtesy of our very own birthday boy Archie! Also a very special shout out and well done to our member Bev Braid who through sponsors was able to raise an amazing total of £140!! Well done to all and keep a look out for more fundraising events taking place in the centre over the coming months.